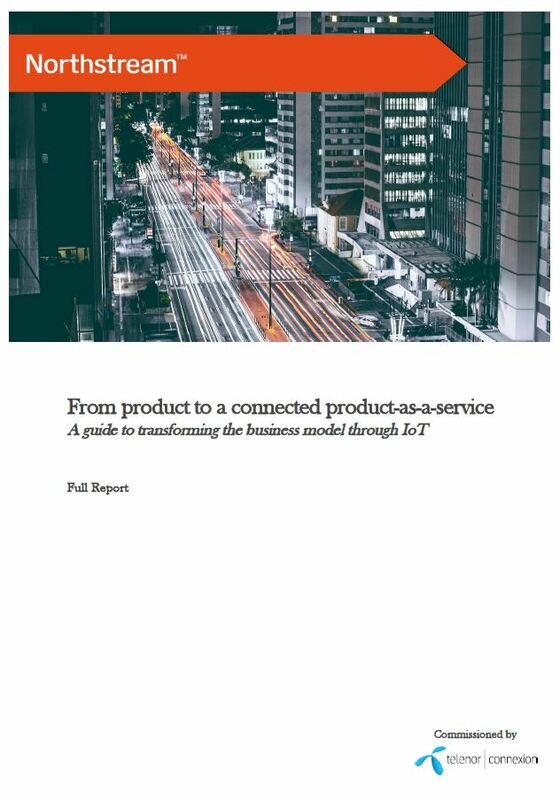 The success of adopting IoT and transforming the business model from product to a connected product-as-a-service is dependent upon multiple factors. These are the best practices that can help your company ensure a successful process. The idea of adopting IoT is often initiated by the R&D or product department with an objective to improve an existing process or to solve a specific problem. A proof-of-concept can also be conducted in a trial environment to test the feasibility of the technical solution. One of the common pitfalls though is to put too much focus on the technology in the early stage, while strategy remains in the back seat. Whilst choosing the right technology plays an important part in the overall success, technology should always serve the strategy. As part of the strategy, enterprises should first define the vision and objectives that they are trying to achieve with IoT both short-term and long-term. These can generally be to achieve cost savings and/or to increase revenues by enabling new services and business models. Although the idea for a connected product may often originate bottom-up as described earlier, transforming the organization to enable the benefits of IoT and a new business model requires an investment in time and resources. Such transformation is unlikely to succeed unless there is strong support and commitment by the management team, including the Board of Directors. The responsibility for developing a connected product-as-a-service cannot be placed solely within R&D or the IT department. It requires a dedicated cross-functional team to lead the effort, which includes representatives from all the main functions such as IT, R&D, product management, marketing, sales, finance, HR. Some large companies even go as far as setting-up the dedicated team as a separate business unit with its own P&L responsibility, in effect forming it as an internal startup. Companies should start with implementing IoT and transforming their business first on a small scale. For example, engage a few customers who are positive to trying the new services and business model, and focus on selected use cases. This gives the opportunity to test and adjust the model before it can be more widely adopted across the whole product line and organization. Gradually, the new business model is implemented to the whole product line and across geographic regions to reach major adoption. How long this step takes depends on the product development and production cycles as well as how agile the organization is in implementing change. A key success factor is to ensure that the model is not fully scaled until the organization feels confident that the outcome is predictable and potential risks have been mitigated. This text is an outline from the whitepaper From product to connected Product-as-a-Service, produced by Northstream and commissioned by Telenor Connexion. One of the biggest opportunities within the IoT is the possibility of transforming a company’s business model to offer a connected service, instead of selling an actual product.